Electronics inspection microscopes combine high quality optics with rugged dependable microscope construction so that printed circuit board manufacturers can problem solve during production. 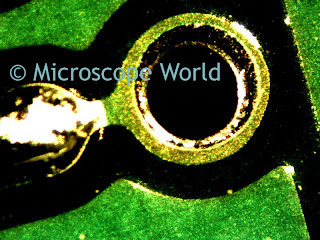 View more electronic inspection microscopes here. 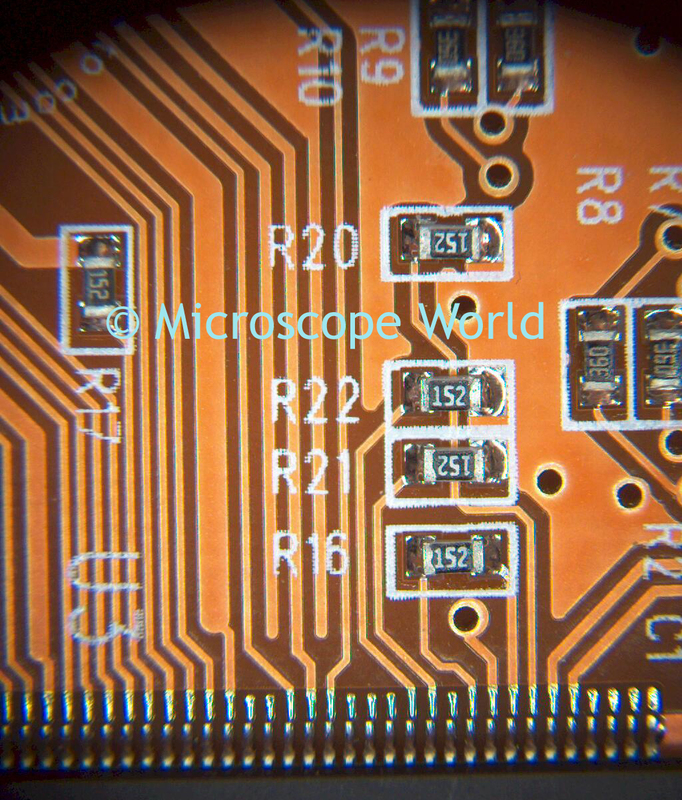 Printed circuit board captured at 70x magnification. 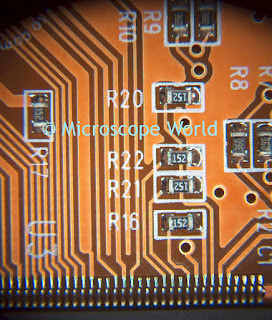 Printed circuit board captured with C14+ microscope camera. 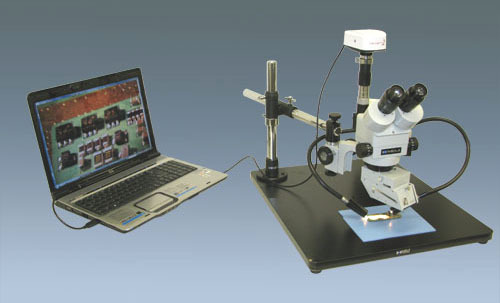 Electronics inspection microscopes typically provide magnification in the range of 5x-25x. Although occasionally an auxiliary lens will be added to provide higher magnification (shown in the image above at 70x magnification).